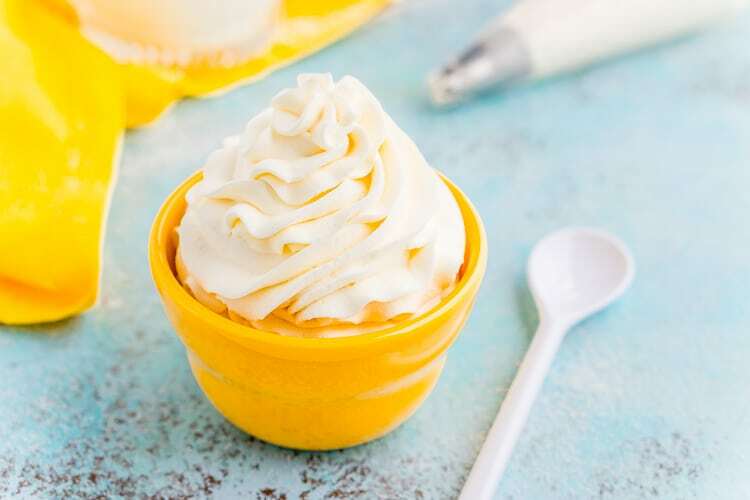 This Cream Cheese Whipped Cream is deliciously creamy and tangy topping for desserts, milkshakes, hot chocolate, and more! 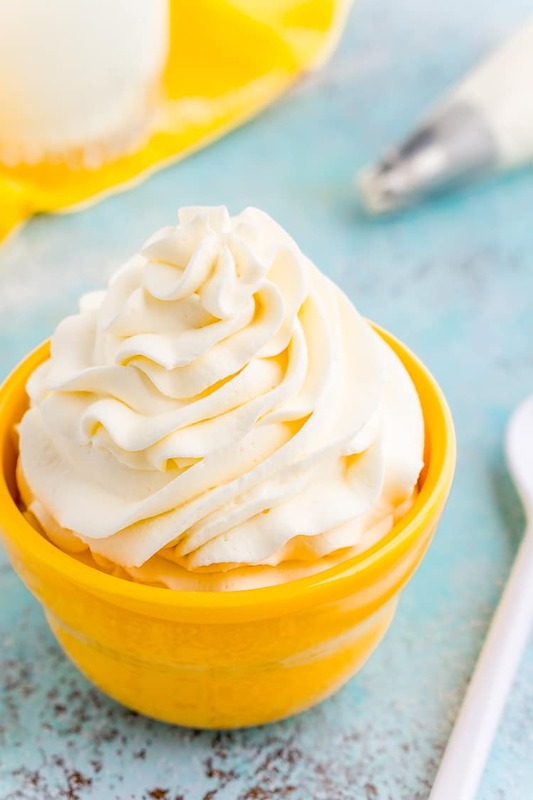 Made with just 4 ingredients and ready in 5 minutes! Usually, you either love it or hate it. I personally like it with some things, but not with others. You won’t find me eating it on a bagel, but if you add it to buttercream and spread it on carrot cake, I’m there. Cream cheese can be very rich, and therefore it’s not for everybody. But, just like carrot cake and pumpkin rolls, there’s something else that just can’t hold it’s own without the help of a little cream cheese. Let’s be honest, it just tastes so much better with it. I know, I know, it’s just a red tinted chocolate cake and we don’t whine when there’s no cream cheese frosting on a chocolate cake, so why Red Velvet? I dunno, they just belong together, am I right? There’s nothing more disappointing than grabbing a red velvet cupcake or whoopie pie just to find out it’s filled or topped with basic buttercream. It just doesn’t work. So when I decided to make a Pink Velvet Hot Chocolate, just like red velvet, it needed a little cream cheese for the perfect finish. So behold the origin of this amazingly delicious and fluffy Cream Cheese Whipped Cream. And yes, it’s perfectly okay to just eat it with a spoon. 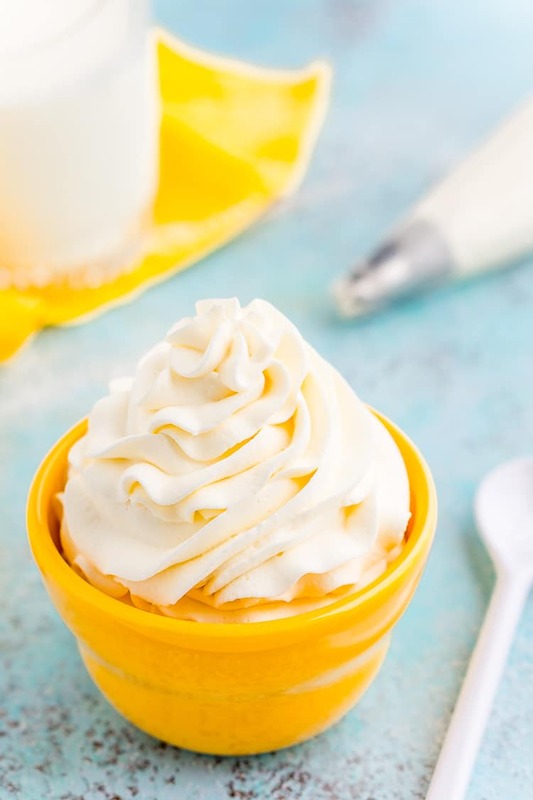 This Cream Cheese Whipped Cream is seriously amazing and the perfect topping for desserts, hot chocolate, milkshakes, and more! 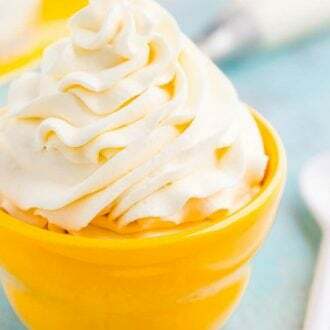 In a medium bowl, beat the heavy cream and vanilla on high speed until cream begins to thicken. Add sugar in while continuing to mix, beat on high until soft peaks form, about 2 minutes. Add in the whipped cream cheese and beat on high for another minute until thick and smooth. I want to make this for layered cupcakes. How much would one serving make? Fis this regular granulated sugar you are using? Yes, granulated, though powdered sugar could also be used. I’m so glad you enjoyed it and that cake sounds delish! Thank you for this! Super awesome stuff; so much better than plain whipped cream. It was perfect on breakfast pancakes with strawberries and organic maple syrup! Because it was breakfast for two, I made a half-recipe. I used organic granulated sugar, and 2 oz of regular cream cheese (since I didn’t have whipped cream cheese handy). Also used a leftover 24-oz plastic yogurt container; because of the container’s tall narrow shape, it whipped up in about 20 seconds. 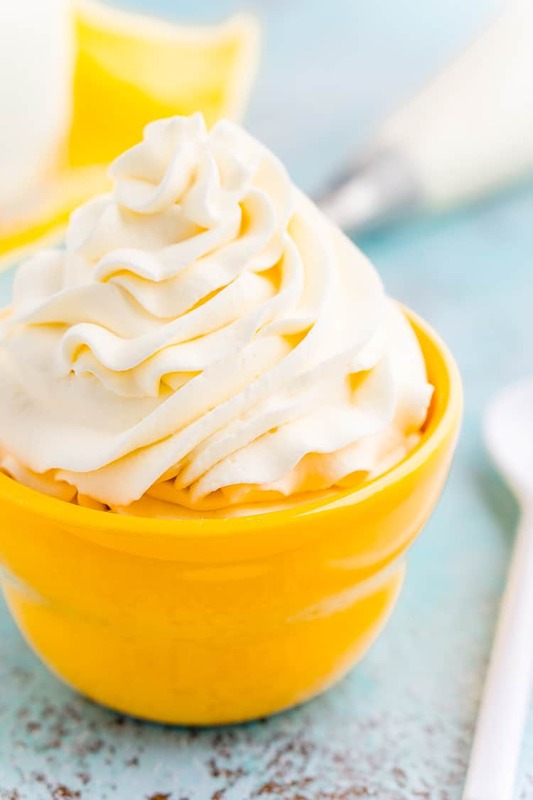 I am not a fan of regular whipped cream, but somethings just aren’t the same without it so I’ve been on the hunt for a whipped cream alternative that looked the same but didn’t taste the same. Thus my question is, does this recipe taste like whipped cream or is it a noticeable difference? 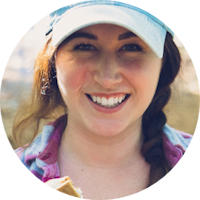 Hi Emily, I personally think there’s a noticeable difference compared to traditional homemade whipped cream either made plain or with vanilla.